I know I've said it before but I am no perfect housewife.. not even close. I know I know pick your jaw up off the floor. Although I am always more than grateful for encouraging comments, I often cringe when someone asks me how I do it all. People in my real life certainly don't think I do it all. Oh, if only you knew how little of "it all" I actually do. I don't always get dressed or even put on a bra for the day. I still haven't hung everything up in our house. I am terrible at figuring out what to make for lunch. I have cut back on how often I blog. I leave Reese's playroom a mess all day and only clean it up at night sometimes. i often go too long without contacting friends. And once I even came into the kitchen to find Reese had taken her shirt off and was eating yogurt on top of the table. Lately I have been seeking the answer to how other mom's I look up to do it all. I've asked my sisters, my mom, my mother in law, friends, bloggy friends, other moms...and you know what? I've actually found out the answer. Nope, not one person I have asked actually "does it all". Surprisingly, LOTS of the women get help. One of my friends has her mother come over and do her laundry while watching her son so she can do the rest of the house cleaning and take care of other things ok wait, how do I get someone to always do my laundry? One of the women I asked told me she has a maid service secretly come do the deep cleaning every 2 weeks. One friend has a babysitting co-op where each week she takes her kids and a friends kids for 4 hours and the next day her friend takes all the kids so they can both get errands done. Some of the women say they just have to choose what things to let fall to the wayside. As one woman told me "There is no way anyone can be expected to clean, shop, cook, write, and shower all during a 2 hour nap time". Good point, Wendy. Good point. I know it might sound weird, but I find it incredibly freeing to know that I can't ever catch up and get everything done I need to get done. That there isn't a secret formula where women have perfect children, perfect relationships with their spouses, are great friends, have clean houses and dinner on the table every night at 6. It just doesn't exist and I find the grace in that extremely comforting. So, I decided that since we are 3000 miles away from family and Hubby has a job that has him working long weird hours, something had to give. So I went and hired a mother's helper. Her name is Alex and she is a sanity life saver. She comes over one day a week for a few hours and plays with Reese. Thats all. I can run errands or clean the house or write a blog post or do laundry or just sit in a quiet room alone. Reese just adores her! The minute she comes over Reese yells "Ah-ly" gives her a hug and waves "bye-bye mommmmmyyyyy". It has been worth every single penny spent to have her around and she even babysits for date night once every two weeks. So, I want to encourage you all. YOU are a good mother and a good wife and a good friend. You are. That woman you think has it all together? She doesn't and its ok. You don't have to either. There is NO shame in it. Please please give yourself a little break and let someone else help you. I love this post. Thank you for posting this! I hired a house cleaner about a year ago and could not live without her! I'm a full time working mom and she is truly a lifesaver! I wouldn't trade it for the world. Instead of coming home and having to clean my house after a long day, I can spend it with my family and that to me is priceless! Smart to get a helper! And I wish someone would do my laundry! Thank you for this post. Today. I mean, as I'm in the thick of VBS directing, I have let EVERYTHING (and I mean everything) else go to the wayside. I keep thinking "once I get this done, I wil...", but it never happens. I miss my kids, and they're with me 24/7. I am just worn down, and I just needed this reminder. Thank you. Right on! There is so much pressure to do it all and love all it is. it's just not possible. i find it so refreshing when people are honest. I am going to start taking my twins to mommy's morning out, kind of like a preschool, so I can shop and get a little cleaning done once a week. Love it. And I just wrote about this the other day! Though I am nowhere near the part of my life where I begin having children, I hope I remember this post when those days do come. I work all day and I feel so bad when I get home and I'm tired to do mommy things. It makes me feel like a bad mom sometimes. Thanks for the encouragement. Excellent post and advice! It's so hard for me to ask for and accept help with anything...I've always felt that by the time I get around to explaining it, I might as well have done it, but then I remember, I will only have to explain it once, okay maybe twice, okay, maybe three times, but even at 3 times, that's not forever...And I love 5ohbaby's face...it's obvious she adores Ahhhhhhlllllyyyyy! What an encouraging post :) thanks for this! I'm not a mama but I am a house wife, so I could relate a bit! so many times a day i wish i could hire someone to come over one morning every 2 weeks to sit with the kids. unfortunately, it's a miracle of sorts that i'm able to stay home with our kids so that's just not possible for us right now. this is so good to hear though-i was totally having one of those days yesterday where i was convinced that i find this whole parenting thing much harder than everyone else. I love the idea of a mother's helper. I am definitely planning to find one when we get our own place (for now grandma and grandpa are working out very well!). I used to get really discouraged about how much of a disaster our house was.. like 2 minutes after I cleaned it. And then I realized that its only because we actually LIVE in it! We enjoy each other and we make messes in the process. I guess if I wanted my house to be clean all the time I could get a job, put Isaac in daycare and hire a housekeeper. But how lame that would be. 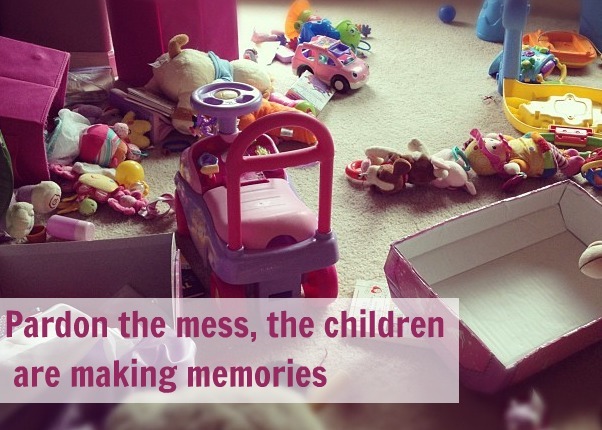 Messes are just evidence that your family lives there and I'm perfectly okay with that! Thanks for the encouragement today! What a WONDERFUL encouraging post girl!!!! Thank you for being REAL! Love this because it makes us all feel a bit better about our own chaos!! :):):) Have a GREAT day! wow. 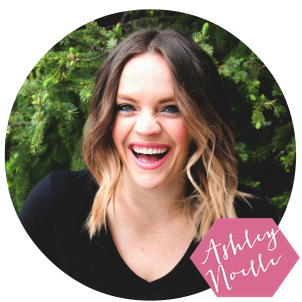 this week has been extrememly overwhelming feeling this exact way...this post was so needed! Good for you for getting a mother's helper! You deserve it! And 5ohbaby looks like she adores her in that picture. I can't do it all and I don't even have a baby yet...yikeS! Oh I'm getting me one of those! Absolutely love this post! Thank you so much for writing it. I have seriously been considering asking my mom once a week for a couple of hours if she would take the boys to her house so I can do the things I need to or just take some time for myself but I always feel like I shouldn't be asking her to do that because I should be able to handle it all just fine. So, I definitely needed to read this! I am not a mom and yet this post was still meaningful to me. I often wonder, when the times comes that I will hopefully (soon) be a mother, how will I possibly do it all? I'd like to also work, if only part-time, and this thought frightens me. However, I know it is so important to let go of the idea that everyone does it all perfectly all the time....it's virtually impossible! I'm sure it's easier said than done to remind oneself of this though :) Thanks for a great post and I will strive to keep this concept in my mind, even now. I think you TOTALLY deserve a helper! I told Will that I would have to be a stay at home mom if we decide to have kids, because you need every second of every day to take care of a household, children, and a husband. Even without a "job", there is STILL too much to do. Plus, just like I tell my mommy friends- you need time for yourself to keep your sanity. You can't operate at full capacity if you don't recharge your batteries. I'm not a mom, and even I can tell that. i LOVEEEEE this post. Just love it. The co op is a great idea, and I feel ridiculous for it never crossing my mind. Genius. Great post. I just came to the same realization myself. I was getting frustrated that I never had time to write and so I hired a babysitter 2 days a week so I can write and volunteer at a local homeless shelter. I felt guilty for a while until I realized that I needed that time to myself. Hooray for you! I appreciate your honesty. A mother's helper is a great idea. I always say I do it all, but I just do it all poorly. No one does it all completely alone, whether that is getting help by begging for it or paying for it or marrying it, everyone needs something. Everyone needs to be able to run to the shelter of a mother's little helper (of some sort or another) in order to do it all. No doubt.